The latest technology for a time tested method of pain relief. 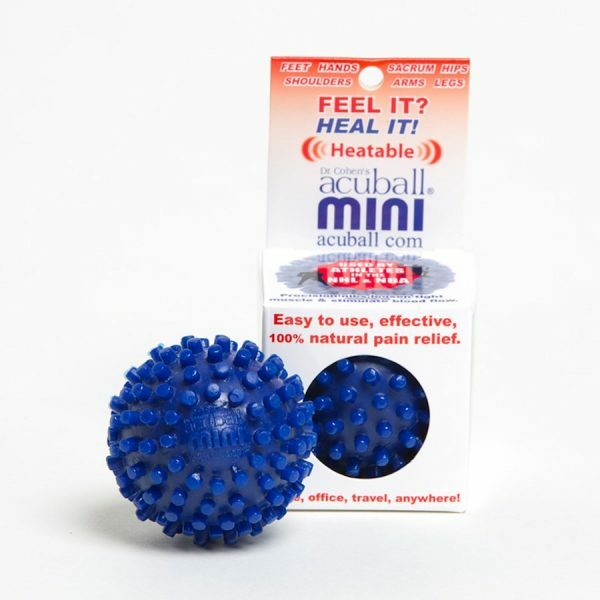 Acuball with the heat to mobilize stiff joints and tight muscles, increasing the pain relief and range of motion. Tools for total pain relief. Recommended by Dr. Oz. This Acupressure Massage Therapy Uses Self Healing Tools That Offer Relief From Neck & Shoulder Pain As Well As Back Pain. These acupressure massage tools are backed with years of testing and research in healing techniques from around the world. 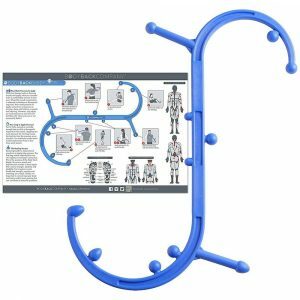 It is used as a part of rehabilitation in professional sports and in hospitals. Dr. Oz even recommends it for muscle pain and postural stress relief. 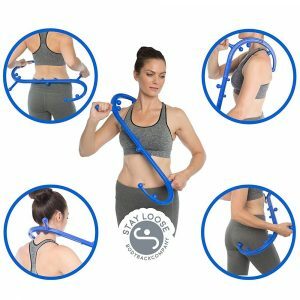 Patented design tools that are heatable to release joint & muscle tightness for any part of the body. The ball has specific acupoints along the surface for stimulation of acupressure points, while heat stimulates the flow of blood. By increasing the circulation of blood, your body will have a means to flush-out toxins that have built up and accumulated in tight and stiff muscles that cause pain and stress. Over time, the release of toxins helps the muscle to relax and get restored to the natural tone. The pressure directly from the ball combines time tested acupressure relief with the heat to mobilize stiff joints and tight muscles, increasing the pain relief and range of motion. Acupressure stimulates the nervous system, similar to acupuncture to release chemicals the body’s natural pain relieving and mood enhancing chemicals in the blood stream. Use while in bed prior to sleeping for a deeper sleep and relaxation. 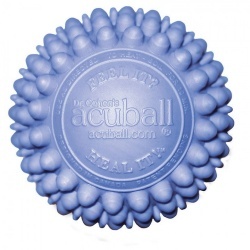 By using the massage ball on tender and sore areas, you can feel after just 3 or 4 sessions of 20 minute treatments that it is less tender compared to when you first started. This is because the toxins get flushed out and the muscles relax, joints get mobilized motion and your whole nerve system relaxes, with less stress and irritation. 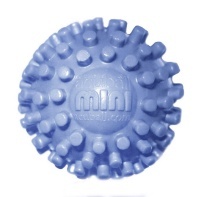 The mini version of the massage ball uses smaller acupoint stimulating nibs with a harder feel, making it great for the release of tight muscles and connective tissues in the arms, feet, shoulders, hands and upper back. Combine this with the larger ball for a traction effect when treating the neck. 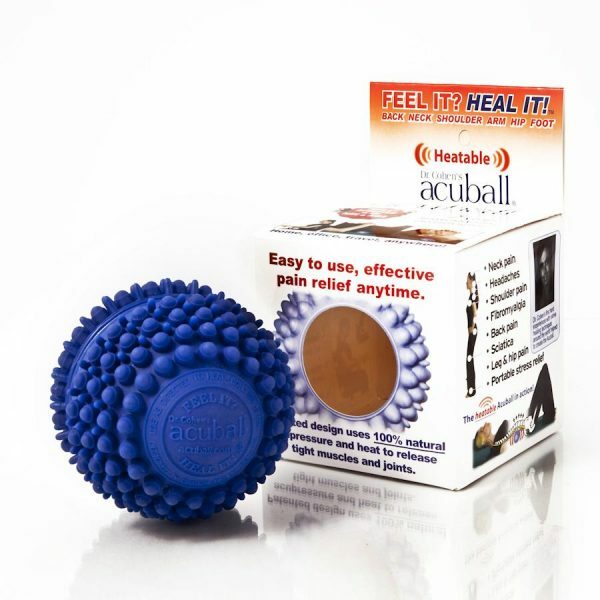 It is a great tool for helping to relieve painful foot problems such as plantar fascitis. Perfects for athletes (tennis players, golfers and runners)for warm up and reduce risk of injury by loosening and increasing blood flow to shoulders, arms and feet. 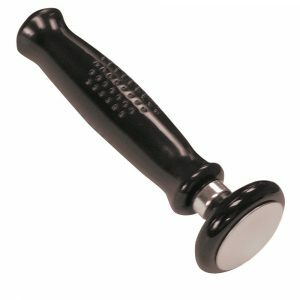 The mini is also great to use as a massage tool on other people like friends or for use professionally to enhance your massage therapy. Another great use is to heat the mini and they will easily fit in your pockets to keep your hands warm in cold weather and to treat acupoints in your hand, which can have effects on your entire body. Remember, only use the boiling method to heat the mini – it is the only one that cannot heat in a microwave. 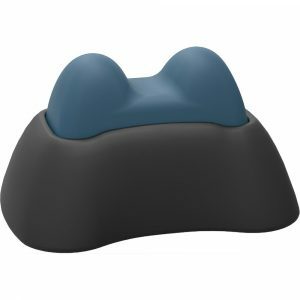 The acupressure massage roller is the Acuback, with it’s heatable roller design that is great for use while sitting to help reduce the negative effects of prolonged sitting postures. 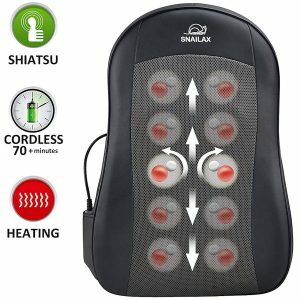 It has a design that is perfect for the neck, lower back, upper back pain relief, thigh, leg and hand. 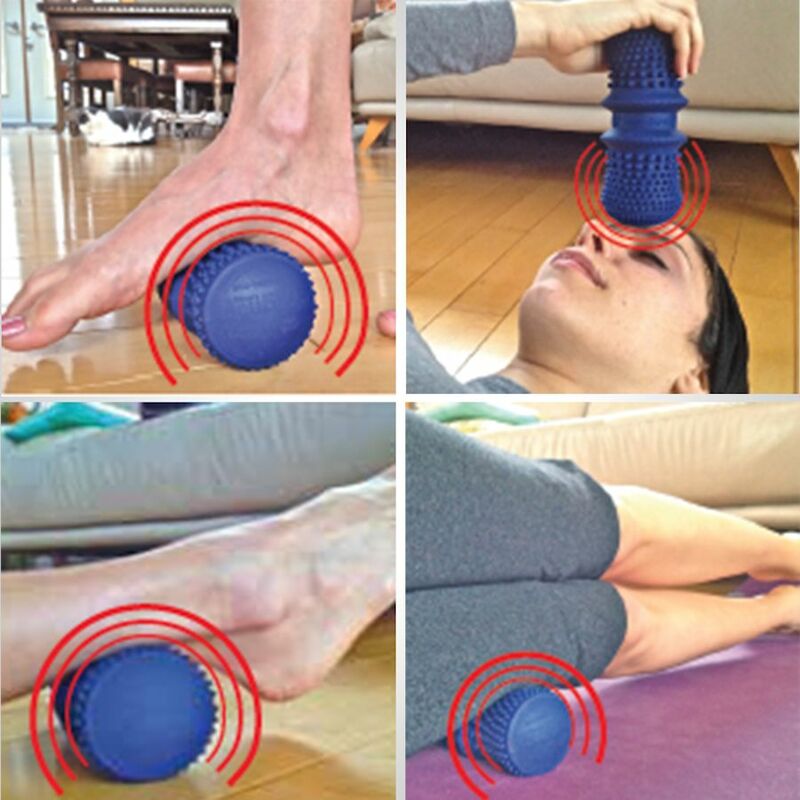 The roller is the perfect spinal therapy tool, stimulating the acupressure pints and increasing blood circulation to the cervical, thoracic and lumbar spine. The roller comes with a holding strap for the chair as well as a carry bag to get relief when travelling. Use while in a vehicle as a driver or passenger to help ease the fatigue and stiffness of back pain on those long trips. 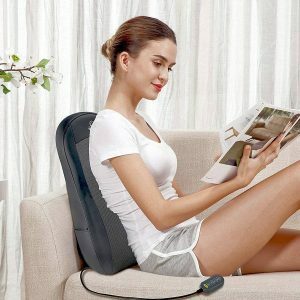 Perfect to help with sitting posture while using a computer. The center area has a groove. This is the Spine Align Belt area that makes it great to use for the spine. The groove allows the vertebrae of your spine to fit in. 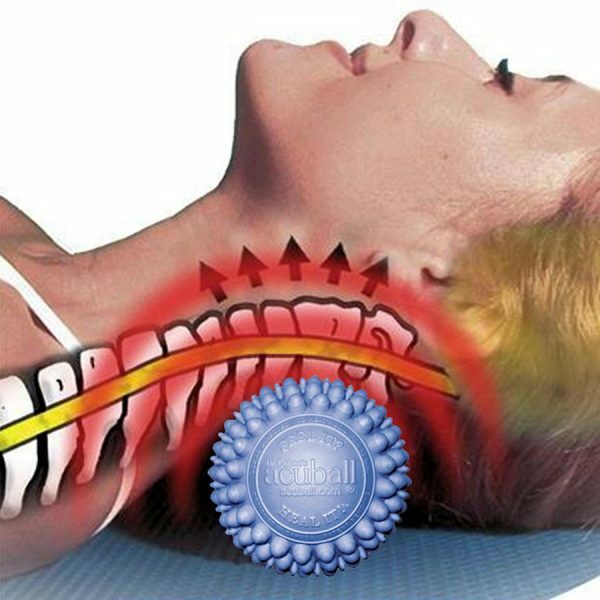 Move it up and down, locating blockages or areas of discomfort, then allow yourself to relax, breathing deeply, and the vertebra will open and release. After release (about 2 to 3 minutes), move to the next spinal area. 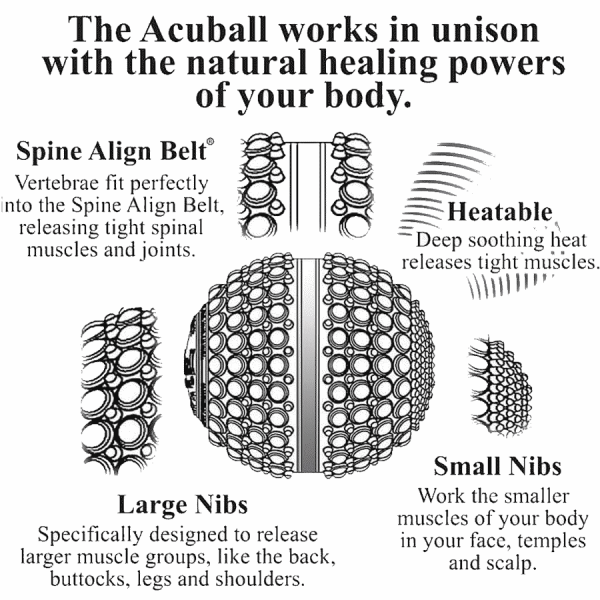 The Acuball can empower you to use your body’s self healing capacity. 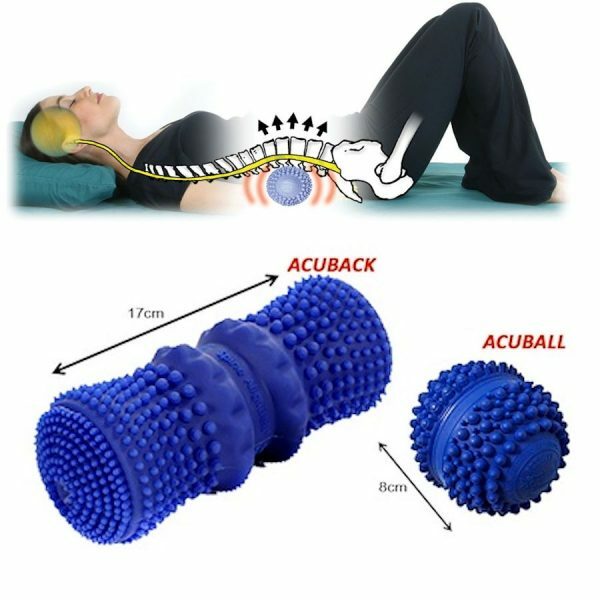 Just lying down or leaning against the massage ball allows a self controlled acupressure and massage effect, designed for pain relief, recommended as a must have by Dr. Oz, who uses it after being hunched over from surgery to relieve tight muscles and pain. 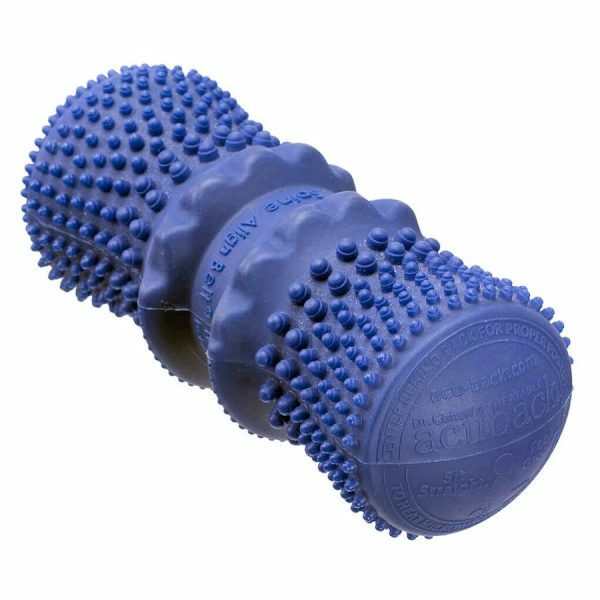 The acupressure ball massager and roller provide an all natural method to ease joint and muscle pain. The acuball and acuback can be heated to offer an additional benefit to the therapy with soothing heat. This combines with acupressure and massage to relax muscles, improve joint mobility, calm nerves and reduce stress. Acupoint pressure with heat helps to increase blood circulation, releasing toxins that build up with tight muscles. It also helps the body produce natural pain relieving chemicals that enhance mood and relaxation. These tools help connect and balance mind and body to achieve a balance that thousands of years of healing wisdom teaches us can keep us functioning at our highest level. Body awareness increases with each treatment session, shifting towards better balance and improved health. These tools can be used to provide acupressure massage to just about any area of the body. 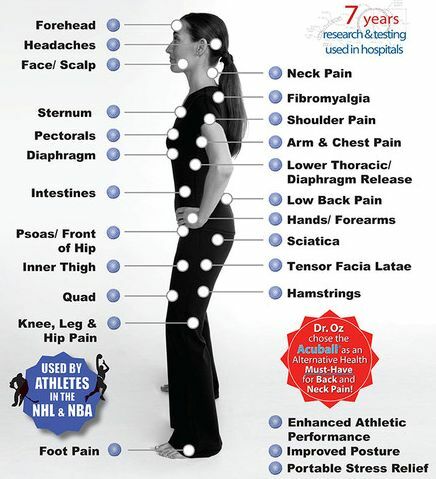 You will be suprised at how much you will learn about ways to relieve pain from head to toe. If you have conditions like cuts, bruises, fractures, infections, osteoporosis or brittle bones. Some medications can increase bruising, so pay attention to this. Always seek professional health guidance for any pain condition. The regular ball and roller can heat in the microwave or by using boiling water. The mini uses boiling only. To heat in a microwave, use a safe plate and heat for 50 to 60 seconds. It won’t feel hot when first removed from the microwave oven, so allow a couple minutes for the heat to reach the surface. The heat can last up to an hour. It must cool completely prior to reheating. To use the boiling method, carefully place in boiling water for 12 minutes, the carefully remove and towel dry. Individual spots or blockages usually take a few minutes to release. Many will do a 20 minute session, however, depending on the time you have and the areas needed to treat with acupressure, an hour can be spent treating yourself.